With years of trying technologies, we have developed a sharp eye for what products are good, what are great, and what frankly stink. Below is a list of links to some of the companies and products we have come to prefer. We use these products in our office, in our homes, and recommend them to customers, friends, and family. Below you will also find some coupons. Check back regularly for future deals we find. When it comes to portable computing, we find that Windows 8 is the best platform. 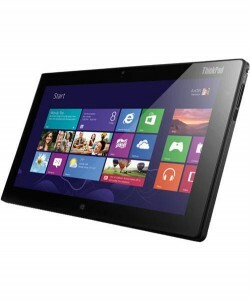 Unlike an Apple tablet, some Windows tablets include a fully featured Windows 8 operating system. This means you not only have access to apps, but it is also a full computer that can run anything from Microsoft Outlook and Word to any USB printer or external hard drive. When looking at tablets it is important to be aware of the difference between Windows 8.1 versus Windows RT. There are a couple videos about tablets on our Blog, and if you are interested in purchasing one please give us a ring at 914-562-1800. We like iBackup because their software is easy to use, their support is great, and the quality of backup they provide is very high. We love Nod32 Antivirus by ESET because it offers some of the best protection available without causing a lot of the problems we see from other antivirus programs and it is very well priced. We also recommend Kaspersky, for those looking for a more full featured protection suite. A great way to save money on printing is to consider alterative sources for ink cartridges. Original equipment is always a touch better, but the prices here are great. We like Sprint because they offer unlimited data plans, have better pricing than Verizon, and have great signal strength and call quality, and we prefer the unlimited data plan to help avoid surprises. Newegg is our favorite source for computer stuff. If cash is tight consider these guys for damaged-box and refurbished deals. Special offers on computers and electronics.